Tomorrow is Father’s day, and I’ve been thinking about doing a post about my favorite dad for a while. I’ve been writing this post in my head for a couple of days already, and I didn’t want to have the day pass me by without setting my thoughts down in print… Although it probably doesn’t matter, because the person I want to dedicate this post to rarely reads my blog! I love my dad, I have a very close relationship with my ex-step dad (long story, and I’m not getting into it here), but by far, the best dad I know is my husband. He became a father a little over 6 years ago, and a little less than a year ago our trio became a quartet. Seeing him as a dad has opened up new avenues of awe and love for him. He’s a loving husband and a very equal partner, but as a dad he completely stole my heart. When he first saw our baby daughter, a whole new side of him emerged: a tenderness I’d not seen before. The way he talks about our children, the way he plays with them, the way he just adores being a dad is the most heartwarming thing I’ve experienced. Just today we had Little Miss I’s violin recital, and both she and her dad took on to the stage. He’s been learning the violin alongside her, in order to encourage and inspire her with his love for music. Every morning he cooks breakfast and gets Little Miss I to school, and when he comes home both kids just go wild by seeing their daddy. I just love the way he loves our children. How he’s willing to get into dance if that’s what our little one is into. Or show all his instruments and play them with our baby son who also seems to carry the musician gene. Little Miss I, Tiny A and I have been doing some crafts and getting daddy’s presents ready for tomorrow… And we are very excited to see what he’s going to think of them! I love this. 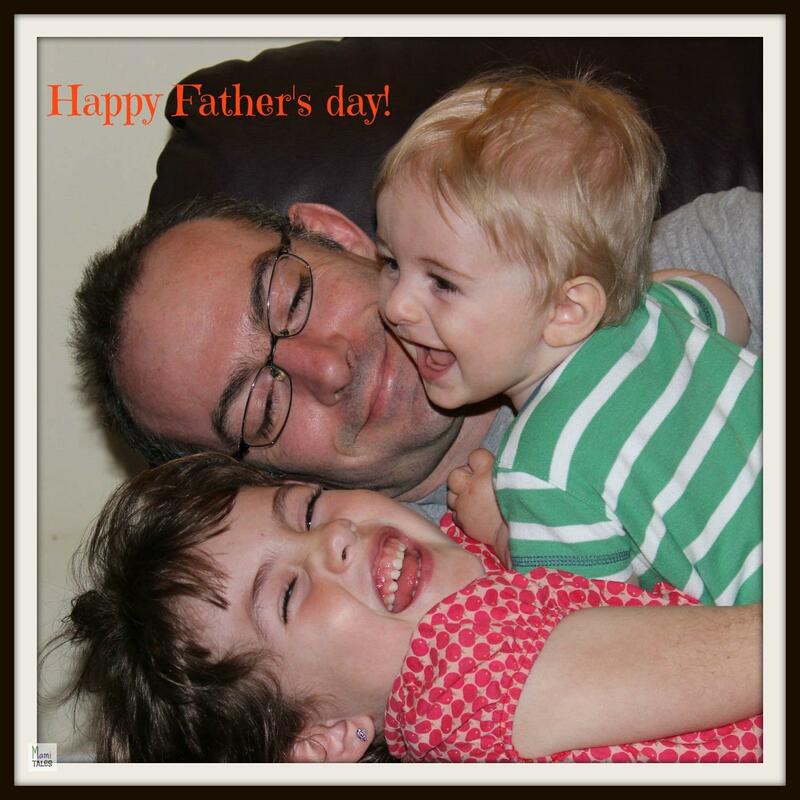 Happy father’s day to my brother, who is indeed a great dad!